The spotlight and the notoriety will be on the opposing, visiting team’s coach and its star player (the coach’s son) as the Lennard Longhorns close out one of their most successful seasons ever at home on Friday, Feb. 8, at 7 p.m. The opponent is Blake, which is coached by Derrick Sharp, the former University of South Florida basketball star and star ex-pro player in Israel. Coach Sharp will be restricted to the bench, but the person to watch on the court is his son Emanuel Sharp. Emanuel is a can’t miss Phenom (with a capital P). 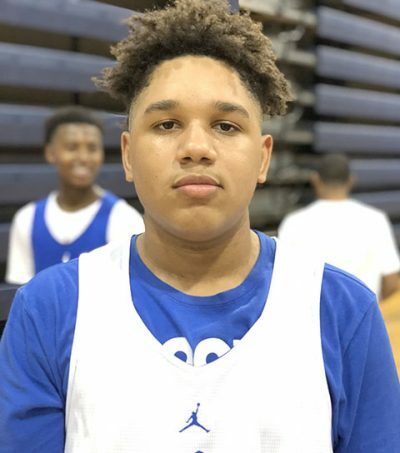 Even though Blake of Tampa is having a mediocre season in 7A Division 7 action with a won-loss record of 9-10 overall and 6-4 in conference, the young Sharp is lighting it up and is worth the price of admission. Emanuel is scoring 26.5 points per game average and ranks high in other categories as well. At 6-foot 4-inches and 200 pounds — and still growing — the freshman is on every university’s radar as a top recruit. Even the pros are already eyeing the precocious, prolific hoopster. Lennard coach Zarko Stojakovich, riding a 4-game winning streak, must deal with powerhouse Freedom in Tampa first; however, in a game after press time on Feb. 5. The dominant Patriots are rolling along in second place in 8A District 8 with a 20-2 overall mark and 12-2 in district with losses only to District 8 leader Wharton and 44-42 to Plant who they also beat once. Coach S’s squad has completed 8A District 9 play with a 7-5 mark. Going into the Freedom and Blake games, Lennard was 15-8 overall. It is the third best record in Lennard basketball history. Last season — Coach S’s first — Lennard was 7-15. Leading scorers for the Leto game were Rae’Shaun Wilson 15; CJ Peterson 14; Nick Davis 7; and Aaron Jensen 6.